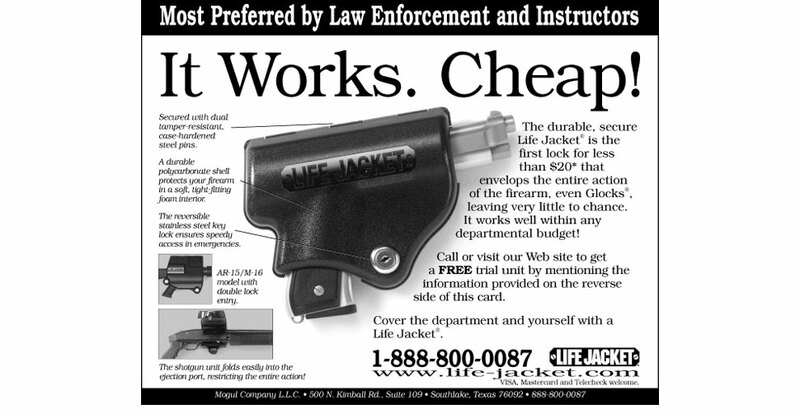 Life Jacket Gun Lock - Blakley Creative, Inc. This was a four way split test of messages that all went to law enforcement and instructors. The focus was on the safety and low cost of the lock. It Works. Cheap! won the test. To learn more about our ability to market via mail give us a call. Designed by Blakley Creative, co-written by Ray Blakley and Jeff Cady.